By drbubb, June 18, 2015 in Campaign 2016 threads: "Discernment"
Trump insider reveals more info on Jeb's ties to the 9/11 cover-up and how his part was bigger than first thought. Roger Stones says that GHWB was the only one to ever "run for Vice President" six times. "Nine years I told everyone that the elites had chosen Jeb Bush as the next president after Obama. I have been telling everyone that, so that it would not happen. WASHINGTON (AP) — Donald Trump and Bernie Sanders rode a wave of voter discontent with the Washington establishment and deep anxiety over the economy to victory in Michigan’s primary election Tuesday, exit polls showed. Despite their vast differences, both Trump and Sanders were the overwhelming favorites among voters who said the next president should be a political outsider. Will they soon merger their separate "crime families" - so they can battle Trump and WE-the-People? leaving behind all the useful idiots who supported her because she told them she was a "progressive who would get things done"
Hitlery speaking for herself - can you smell the false odor? Remember the majority of swing states that Hillary has either decisively lost or tied in? Six of these have voted on the Republican side, and Trump handily won half of them (New Hampshire, Nevada, Florida). Trump also carried all of the swing states that Clinton won in except Ohio–and in that case, he nearly defeated a sitting governor with an active campaign infrastructure still intact from his recent re-election. Kasich only managed to pull off a victory at the 11th hour, after Rubio instructed his voters to vote for the governor instead. In Florida Trump managed a landslide victory over Rubio on his own turf in the process and secured an endorsement from current Florida Governor Rick Scott. As for the solidly-red southern states that comprise most of Clinton’s pledged delegate lead–guess who carried all of these rather decisively on the Republican side, and often with record turnout? That’s right, Donald Trump. That is, Trump is likely to decisively beat Clinton in virtually all of the states that she has performed strongly in so far, and seems poised to win many of the states she lost as well. This leaves her relying heavily on the solidly blue states, which overwhelmingly voted against her in the primaries, suggesting that enthusiasm will not be high with her base. Forget national polling. When one takes a sober look at the electoral map—at who can turn out their base in solidly partisan states and appeal in swing states, based on how the primaries have turned out thus far, the edge is cleanly with Donald Trump over Hillary Clinton. Trump has a large and passionate base. And while many Republicans are not comfortable with Trump, they passionately hate Hillary Clinton–and faced with such a stark choice, most would vote for Trump if only to deny Clinton the White House. 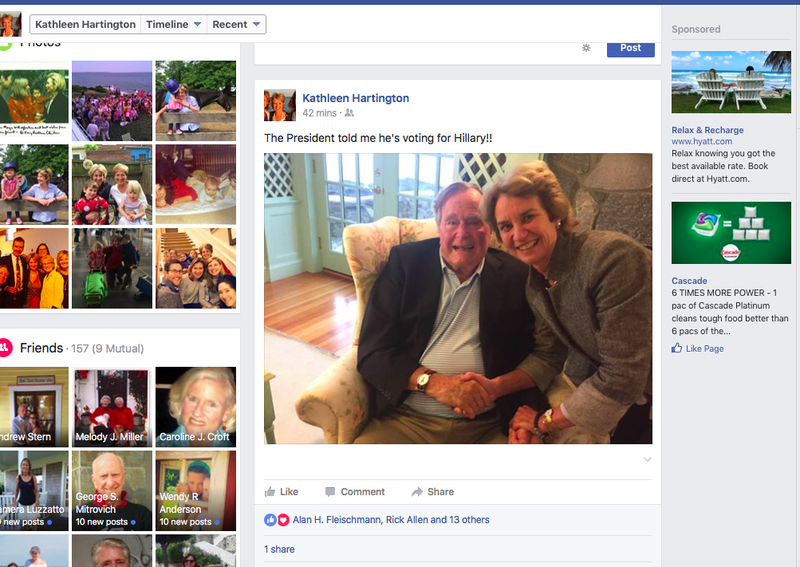 Reports of Republican elites who say they’d vote for Hillary over Trump are more-or-less meaningless in terms of indicating how most voters will perform: the entire Trump phenomena is a testament to how far out of touch these party elites are with their voting base (meanwhile, endorsements of Hillary Clinton by prominent neocons would only further alienate her from the Democratic base). Make no mistake: Republicans will rally around Trump (or against Clinton), and they will turn out in large numbers to do so. (Hillary has been promoting herself to the black community as Obama's Term #3. Seattle (CNN) Bill Clinton, while campaigning for his wife in Spokane, Washington, on Monday, seemingly knocked President Barack Obama's legacy in a riff that his aides said was unintended. Bill Clinton event in Wyoming nixed; Hillary's team cites weather -- or is it? Former President Bill Clinton speaks at Clark College in Vancouver, Wash., Monday, March 21, 2016. Clinton was speaking on behalf of his wife and presidential candidate Hillary Clinton. "A BIG CLEAN-UP is needed in the USA"
A year or so ago, I started to realize that Trump was a serious candidate, and was on the right side of many issues. All along I have said the choice of Hillary versus Bush was indigestible, and that Hillary was probably the least likeable, most vulnerable candidate that we have seen in decades. Only because we had been sold the idea that "it was a woman;s turn" to be president did anyone take her seriously. Have we truly seen the end of the Toxic Bushes in the GOP? Fred Astaire. Putting on the Ritz. The Black face slice is not PC - is anyone offended? Longtime Trump ally Roger Stone discusses an attempted rebellion on the floor on the Republican National Convention, Ohio Gov. John Kasich and more outside the convention Monday. "The DNC should push back DIRECTLY at Sanders and say that what he is saying is false and harmful." SANDERS supporters demand resignation of Wasserman-Schultz, and freeing of all DNC delegates. Trump has a real challenge in that he is not only battling a well-financed candidate in Hillary. He is also battling the media which has shown a consistent and strong bias in favor of his opponent. The good news is that the candidate herself is one of the weakest and most vulnerable in living memory. For Hillary the revelations that come out are not "false and harmful", the news is harming her because it is TRUE and very revealing of the reality of her lack of respect for the true and the law. "I certainly believe that Americans are clever enough to see the difference between Ego (Trump) and Evil (Clinton). The globalist-controlled mainstream media has tried very hard to promote Republicans who are owned by the Donor class, but the voters saw through it and rejected the puppets than ran against The Donald. They also understand that Hillary is the ultimate puppet, bought and paid for by the people who have ruined America, these war profiteers and banksters have kept America at war for decades. To keep the wars going, the elites have plundered the wealth of the middle class. Trump may or may not live up to his promises, and the high expectations that his supporters have for him, but at least with the Donald there is a chance for real change, and the possibility that American interests will be put ahead of the interests of rich globalists." Does anyone still think this assessment from several months ago was overly harsh? Let's tell the truth about this monster, and not help the globalist media in covering it up. "NO UNDERSTANDING of how ordinary people live their lives"
"People have had their fill of being sneered at"
Milwaukee County Sheriff Sheriff David Clarke weighs in on Hillary Clinton calling out Donald Trump over race issues. "The One word that comes to mind when I think of her is SINISTER"
You've heard it a hundred times: "TRUMP IS LITERALLY HITLER!" "The People who Run the Political class do not like you, the sneer at you"
"The people said (to celebs & the media)... I am not going to take your political advice"
The only shock in this election was how many votes she actually got. the Toxic Koolaid offered by the controlled medai. 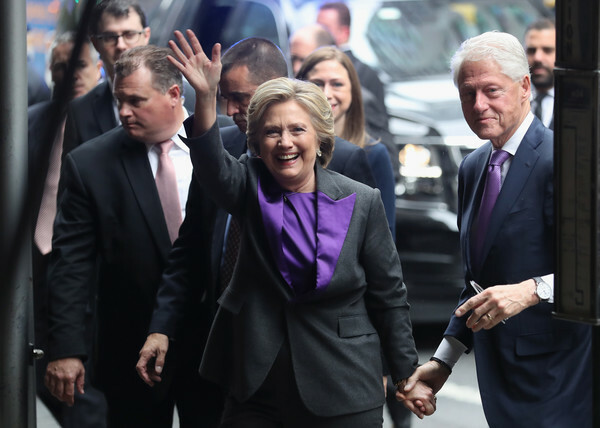 IS THIS LAST PHOTO OF HILLARY YOU WILL EVER SEE ON DRUDGE? Inside Team Clinton’s year-long struggle to find a strategy against the opponent they were most eager to face. It was supposed to be Jeb Bush, if you asked Democratic honchos in mid-2015, except when it was always supposed to be Scott Walker. Eventually, they insisted, it was always supposed to be Rubio. But it was never supposed to be Trump. Clinton circles' initial planning for Bush began even before Democrats’ wipeout in the 2014 midterms. In an October 31, 2014 memo, informal confidant and longtime friend Sidney Blumenthal mapped out a “CONFIDENTIAL” path for Clinton, which she then forwarded to aides Nick Merrill, Brynne Craig, Huma Abedin, Philippe Reines and Cheryl Mills, with the note: “Worth discussing elements.” Mills then forwarded the note to campaign manager-in-waiting Mook and Podesta. “The Republican presidential campaign will begin on November 5th,” Blumenthal wrote. 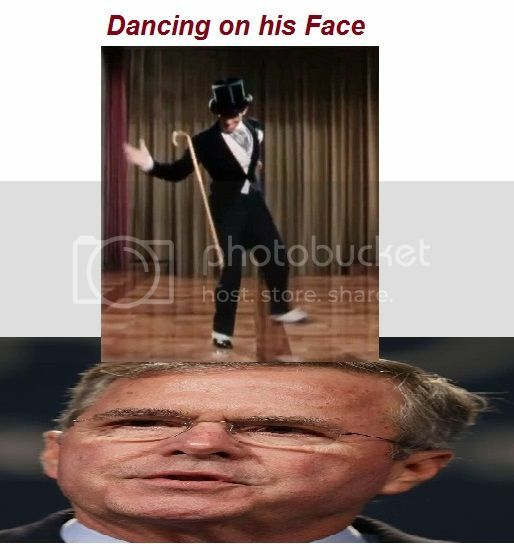 “If Jeb Bush doesn’t run, there is no viable establishment candidate. If he does run, he will be subjected to an unprecedented assault that might culminate in a splintered party, even a third party." Around that time, an increasingly politically engaged Clinton started telling friends and political advisers that she expected something close to a classic battle about the economy against the Republican establishment’s choice. 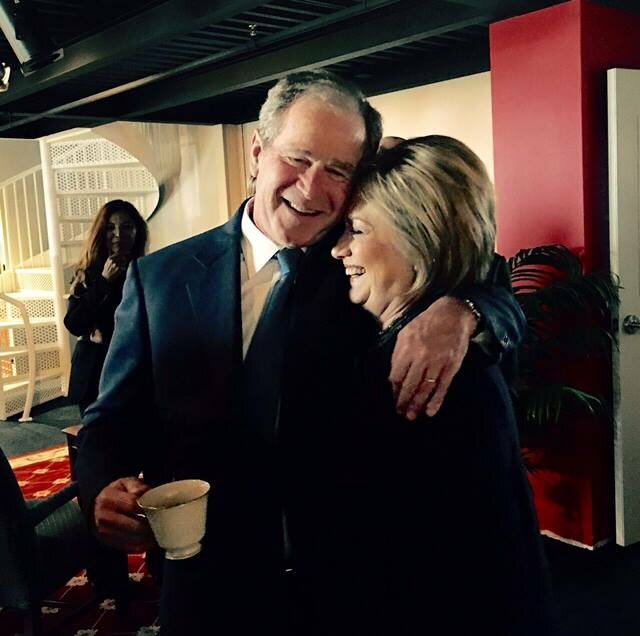 So to take Bush down, Clinton’s team drew up a plan to pump Trump up. Shortly after her kickoff, top aides organized a strategy call, whose agenda included a memo to the Democratic National Committee: “This memo is intended to outline the strategy and goals a potential Hillary Clinton presidential campaign would have regarding the 2016 Republican presidential field,” it read. We need to be elevating the Pied Piper candidates so that they are leaders of the pack and tell the press to [take] them seriously." That hoarding plan remained in place deep into 2016 as some senior aides stayed convinced that a race against Trump would be a dream for Clinton, but as others kept insisting on tweaking the long-term plans against Rubio and Cruz—convinced the GOP would ultimately coalesce around the Floridian. Clinton’s slow pivot away from Bernie Sanders and their expensive primary was far from over. Eager to begin the general election, she began speaking against Trump after the March 15 primaries—declaring, “our commander in chief has to be able to defend our country, not embarrass it” that night in West Palm Beach, Florida — but she quickly dialed back the effort when Sanders made clear he wasn’t going anywhere by kicking off a winning streak the next week. while being massively out-of-touch with the attitudes and intentions of ordinary Americans. The personality cult around Clinton had real difficulty in getting the Truth through to her, and still does. Her arrogance is stunning to me. Did she really think her record as a failed SOS showed she had more coping ability than Trump? Who was going to believe that, with her email fiasco, the Benghazi disaster, and the constant lying?